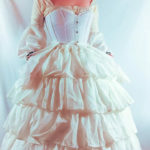 For challenge 6 of the Historical Sew Monthly, I’ve made a Victorian corded corset. 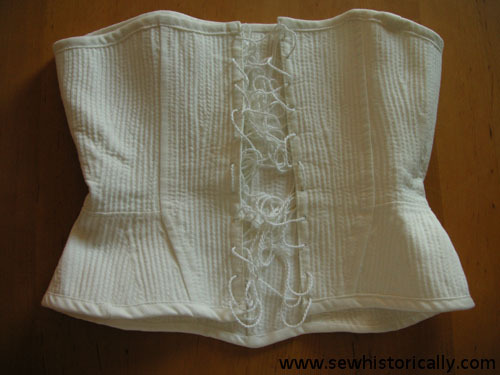 It’s the first corded corset I’ve made. 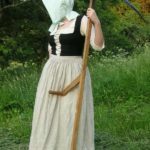 My corded stays are made from two layers of cotton twill, and corded with cotton string. 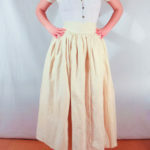 I’ve used an antique corset pattern from 1868. Here’s the pattern. 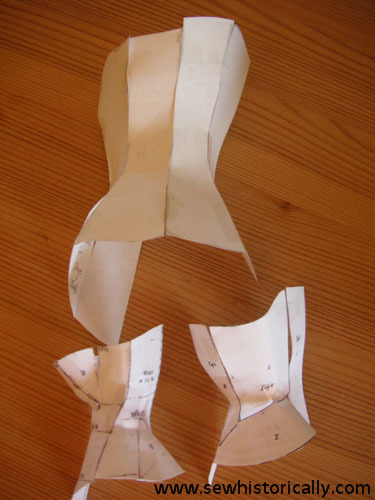 I’ve made small paper corset mockup from various victorian corset patterns, before I’ve decided to make this 1868 corset (the one at the bottom on the right). 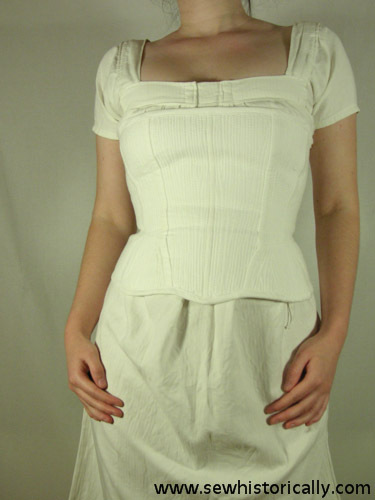 Here’s an 1860s corded corset, and another corded corset with front button closure (ca. in the middle of the page). 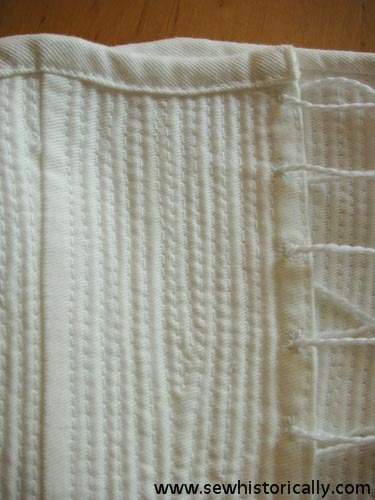 I’ve sewn the channels with my sewing machine. 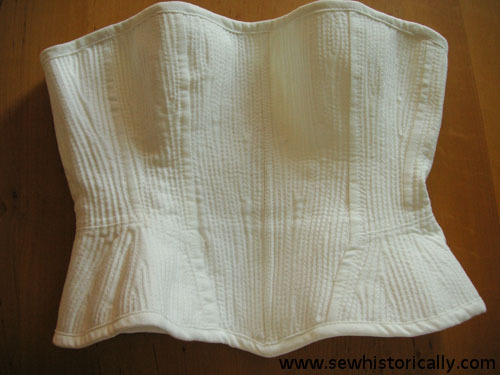 In Corsets – Historical Patterns & Techniques, Salen (2008) describes an antique 1860 corded corset, which is also machine stitched. 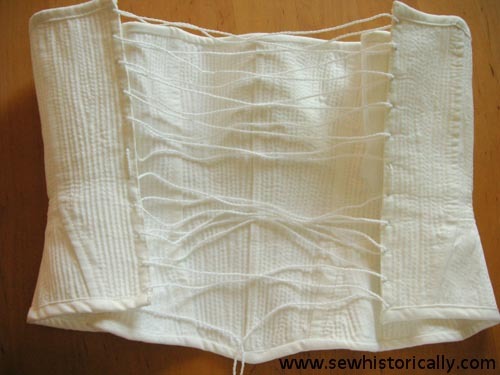 The pattern I’ve used says that ‘all the edges of the [corset] pieces so nearly match that the work can be done by machinery’ (source). 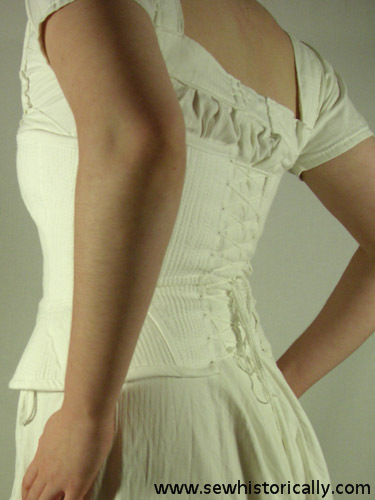 My corset doesn’t have a front opening (as the 1860 corset in Corsets – Historical Patterns & Techniques); it’s laced in the back. 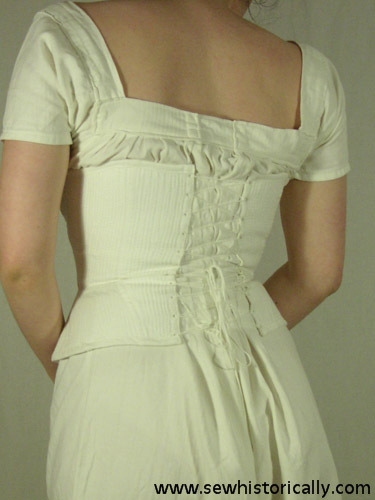 The corset laces have to be much longer than in front-opening corset in order to put on the corset. 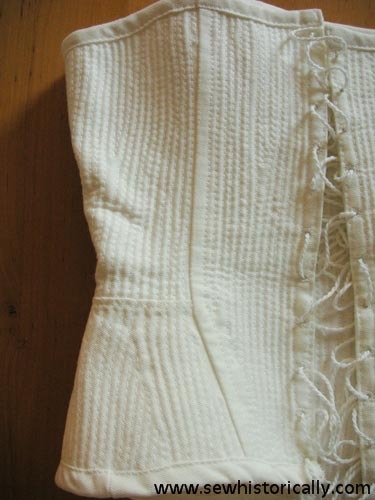 I’ve used the same cotton string for the corset laces which I’ve used for the cording of my corset. 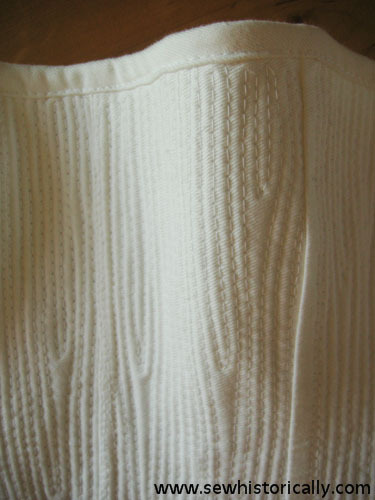 The eyelets I’ve sewn by hand. 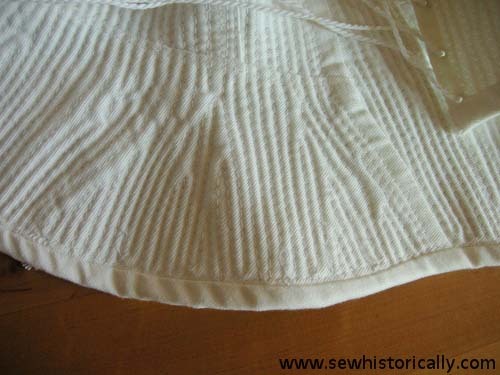 The binding at the top and bottom of the corset is made with the same cotton twill fabric. 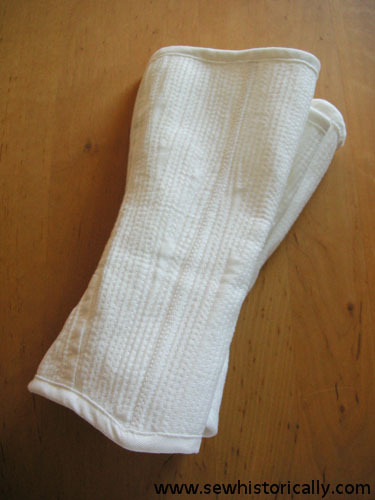 On the inside, all raw edges are finished. 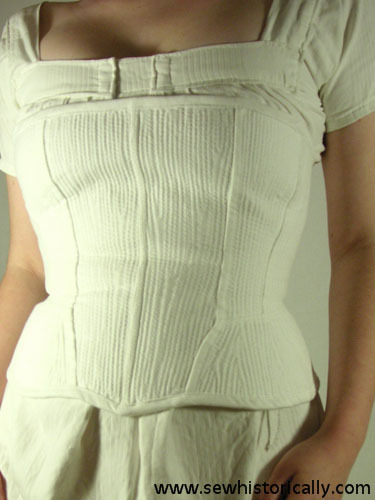 The corset can be easily folded together.